Mike’s Cigars began serving the cigar community in 1950, and was founded by Mike Mercel, long before cigars became popular. A well laid out website, you’re sure to find cigars you love. Mike’s Cigars offers a rather extensive selection of fine cigars, including Fuente Opus X, Padron, Ashton and more. In addition to cigars, they also offer many different accessories ranging from cigar cutters to humidors. You’ll find their prices to be attractive, as many cigars are priced well under MSRP! Ordering from Mike’s Cigars is very simple, as they have a well thought out shopping cart. To top it off, they provide free shipping, so you won’t have to worry about any additional fees. It’s rare for merchants to offer paper catalogs these days, however you can certainly request to be added to their regular catalog mailings. Great for checking out their specials when you’re not near a computer. 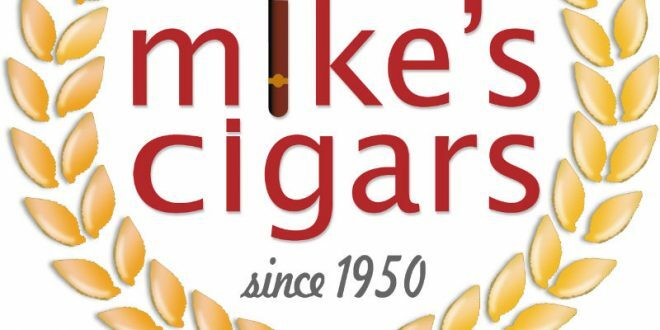 Mike’s Cigar was one of the first cigar retailers to setup shop on the internet, and their website is definitely user friendly. Be sure to check out their offerings, as they do update them on a regular basis. Mike’s Cigars has made ordering cigars on the internet a breeze, not to mention enjoyable. They offer a brief description of the cigars they sell, focusing primarily around the size, shape and flavor profile. Mike’s also make’s it really easy for the consumer to choose the desired size, as they include options along with pictures of all the various sizes. If you’re in the area, be sure to check out their brick and mortar store! In addition to a great website, they also have a really cool store in which you can browse their offerings in person. Mike’s also hosts regular cigar events, so keep an eye on their site for upcoming events. Events range from manufacturer tastings, meet and greets, herfs and more. Mike’s offers several different coupon codes right on their site, so no having to scour the internet for “private codes”. This is truly a great cigar company with a really cool lounge. If you’re ever in the area, be sure to stop by Mike’s Cigars, and I’m sure they’ll treat you right!